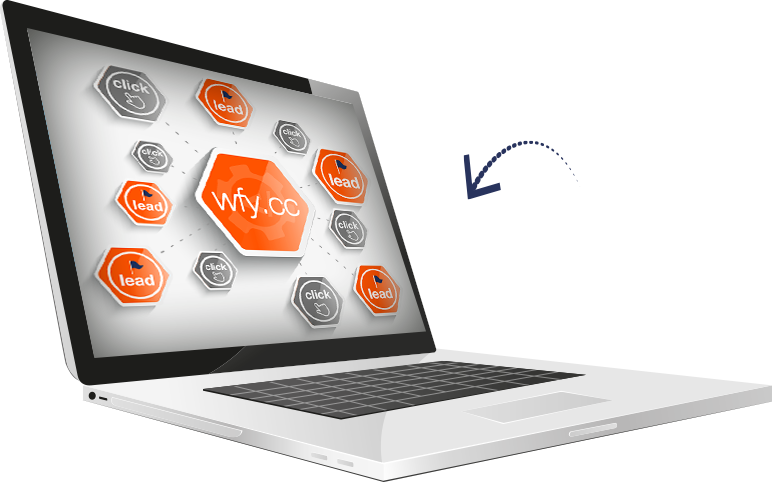 If you're looking for a URL Shortener that allows you to maximize the power of links and truly measure the results received in the easiest way then WFY. CC is the URL Shortener that you've been looking for! 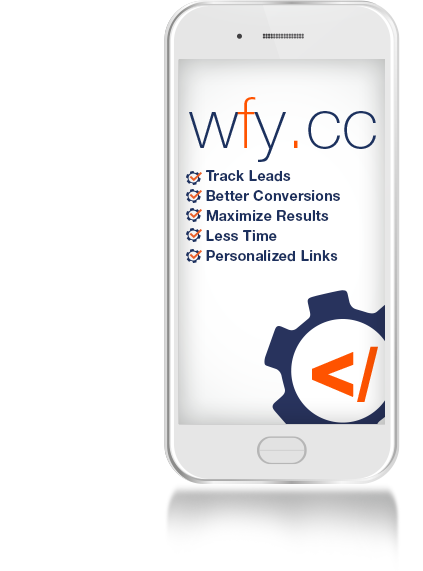 With WFY CC, you'll know which potential clients (phone calls, website forms, newsletter registrations, eCommerce registrations and purchases) you receive due to your Short URL. ¡Bit.ly and the Others Can't Do This! 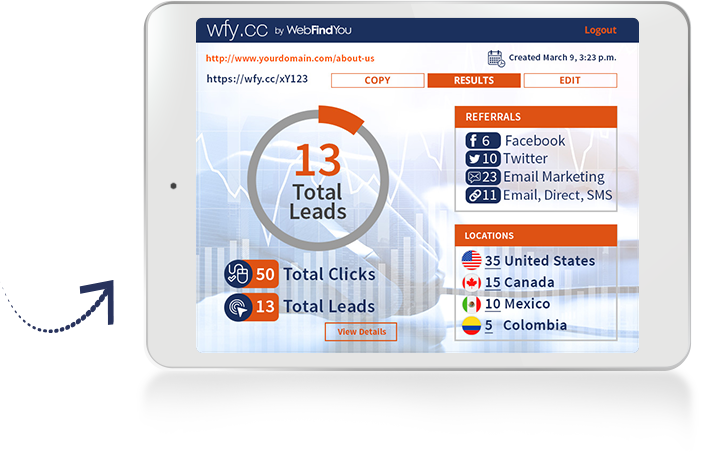 The Power of True Digital Marketing is to know the leads and sales that your links provide. WFY.CC Provides it for FREE! Copyright © 2019 WFY.CC. All Rights Reserved.